Are you looking to take the first step towards getting your car driving licence? Find out how much the car theory test, practical test, and overall costs of learning to drive will be. If you’re looking to pass your driving test in the UK, you’ll probably be wondering what costs are involved. First things first, you’ll need a provisional licence, which costs £34. To apply for this, you need to be at least 15 years and nine months old, and able to read a number plate from 20 metres away. Before you can take your driving test, you need to pass your car theory test. The car theory test costs £23. During the test, you’ll have to answer 50 multiple-choice questions, and answer 43 out of 50 correctly to pass. There’s also the hazard perception test. There are 75 points available across 14 video clips, and you must score 44 to pass. The clips feature everyday road scenes, and contain at least one ‘developing hazard’, with one of the clips featuring two developing hazards. Go through the gov.uk website to booking your theory and driving test. There are unofficial websites also offering the test, but they’re likely to charge you more. The theory test costs you the same amount whether you take it on a weekday, or an evening (after 4.30pm)/weekend/bank holiday. If you’ve got a Safe Road User Award (which is sometimes taught in schools. Find out more about the award), you can take an abridged theory test for £18. You have to answer 35 multiple-choice questions instead of 50, and the pass mark is 30 out of 35. You still get tested on 14 hazard perception clips. This price varies for other types of vehicle, if you’re looking to take a motorcycle, bus or tractor test. How much is the car driving test? Once you’ve successfully passed your theory test, you can look to book your driving test. The driving test costs £62, and can be booked here. There have been some recent changes to the car driving test. Find out more about the changes here. On top of that, for the first time, learners are now allowed to have lessons with a qualified instructor, in a dual control car, on the motorway. Find out more about that here. 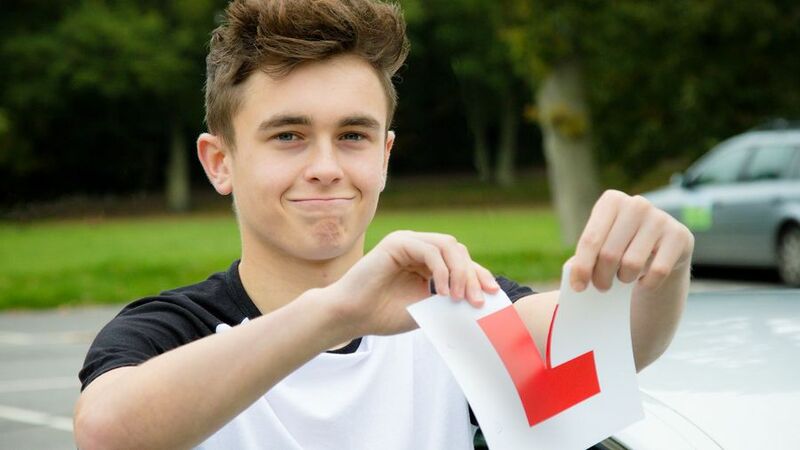 The numbers of young people looking to pass their driving test has dropped in recent years, and there are now only around a third of 17-20-year olds with a full driving licence. It is a pretty expensive process. The Driving Standards Agency recommends learners have 47 hours of tuition, adding up to 73 hours when you factor in driving with a parent or relative. And the average cost of a single lesson is now around £25. Once a leaner has passed, the first-year car insurance costs average around £2000, so when you add it all up, you can see why the number of learners is dropping.